El alojamiento comprende 2 dormitorios, uno con dos Cama &amp; baño, la segunda de juncos gemelas &amp; baño. Ambos dormitorios tienen su propia balcón. La gran luz &amp; Espacioso sala sube a una amplia terraza contemplando el jardines y piscina. El 3 plazas sofa se transforma en un doble Cama para aquellos que requieren espacio extra. Hay un solarium privado terraza con impresionantes Vistas panorámicas mar. Una muy bien equipada elementos usar lavavajillas, microondas, lavadora. We stayed at Julie’s property in August for our family holiday. We had a hire car and having access to a parking space was great. The property itself was wonderful, very well equipped and comfortable for the 6 of us. The balcony & roof terrace provided lots of outside space to enjoy the views and we often had the pool to ourselves. The location is ideal for exploring the surrounding area and we liked that we weren’t in the middle of a big resort. There were some shops & restaurants at the bottom of the road approximately 1km from the apartment which was an easy 10 minutes walk, however be aware that you will be walking up hill on your return. We are walkers so didn’t mind that. There are a couple of very big supermarkets at the bottom of the road so handy for supplies. There is a bus stop there to so you actually need to have a car to stay here. For anyone with mobility issues it would be useful to note the apartment is on the 3rd/top floor of the complex & can only be accessed by climbing the steps. We really loved our stay here, there are lots of places to explore within a 10-15 minute drive and we found the apartment ideal for relaxing, by the pool or on the terrace. It is also an ideal location to explore further afield & we went to Gibraltar in under an hour and also Seville in a little over 2 hours. Julie is a fabulous host, communication from her from booking was warm, friendly & informative. We would highly recommend this property. Great facilities. Great views. All you need for a relaxing break. Great apartment. Wonderful pool even though the water was freezing. Fantastic views on a clear day you can see Gibraltar and coast of Africa. Great location with all the amenities situated within walking distance. I would hire a car so you can go to near by Puerto Banus or Marbella within 15 minutes. So much to see and do. Zusammengefasst: das Appartement ist prima, die Umgebung hat Verbesserungspotential. I tried my hardest to find fault with the apartment but couldn't! Had a great stay.you could manage without a car as beach and supermarket are in walking distance as is bus stop for estopona ,Puerto banus and Marbella. Very nice and equipped apartment. Nearby Puerto Banus, charming Estepona with the old town and nice beach. We rent a car all week and trips to Gibraltar , Ronda and the beautiful white Cesero were all to recommend. The apartement was quiet, and by sunset the sun teracce was the place to be. The owner gave us all the best of service. We sent her SMS or email and she answered in a few hours, or within an hour! Thank you Julie! Apartment with a breathtaking views. 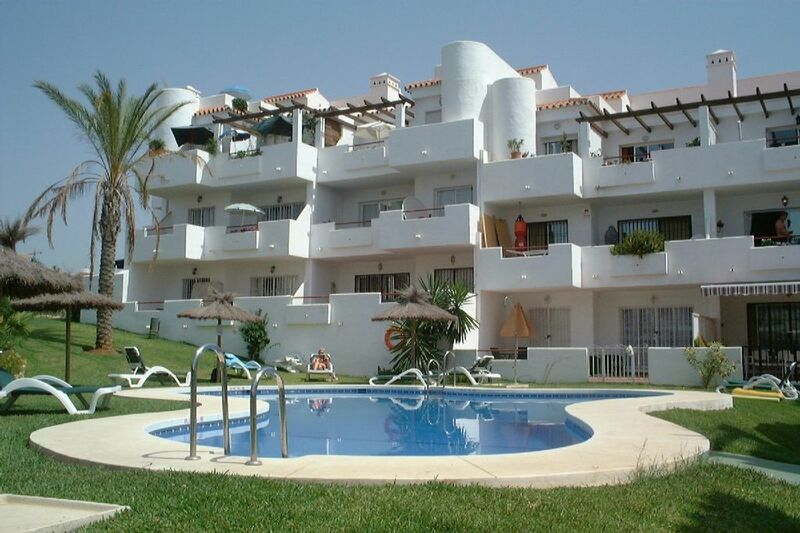 Very comfortable and clean apartment, it has all the facilities required for a holiday stay. It position gives you fantastic views of Africa and Gibralta on a clear day. If you are looking for a relaxed holiday with excellent weather then you can't go wrong booking this apartment. Julie was extremely helpful throughout the booking process and beyond. El apartamento está situado en el centro de Estepona impactantes y a 10 minutos de moda Puerto Banús. Ofrece unas espectaculares Vistas montaña y el mar. La zona cuenta con muchos buenos restaurantes que se adaptan a todos los gustos y las tiendas de Puerto Banús, Marbella y Estepona ofrecen una amplia variedad de artículos. Para aquellos que son más activas hay numerosos campos de golf cercano, un club de tenis es 2 minutos y deportes acuáticos 5 minutos de distancia. La playa está a 5 minutos en coche, o bien de una 20 minutos a pie. Deposit required of £150 on booking & returnable after keys safely returned after holiday.